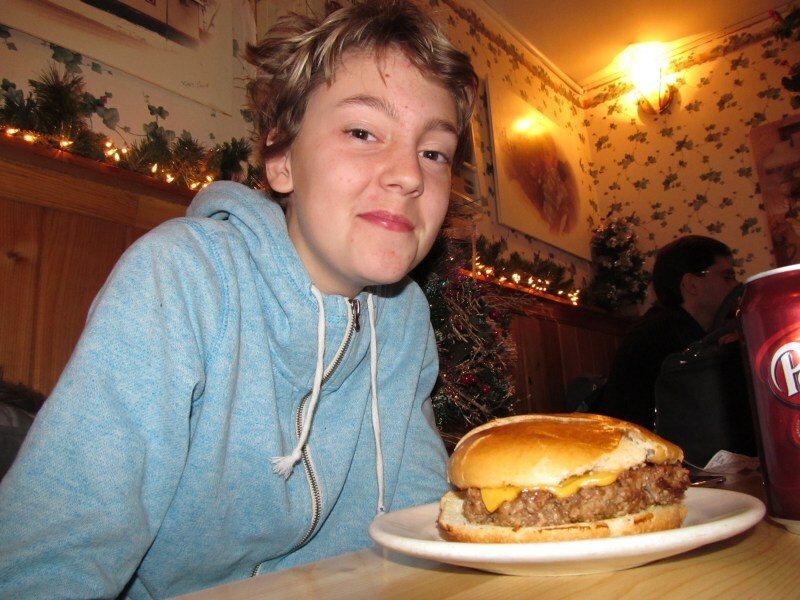 The first rule of Burger Club: Burgers are made of beef. Well, except in the case of Luda’s Deli where they’re made of beef and pork. This came as a bit of a surprise as none of us realized and the menu described it as a “ground beef patty”. Of course the menu also proudly proclaims that “We use peanut oil for deep frying!” which they haven’t done in 20 years. 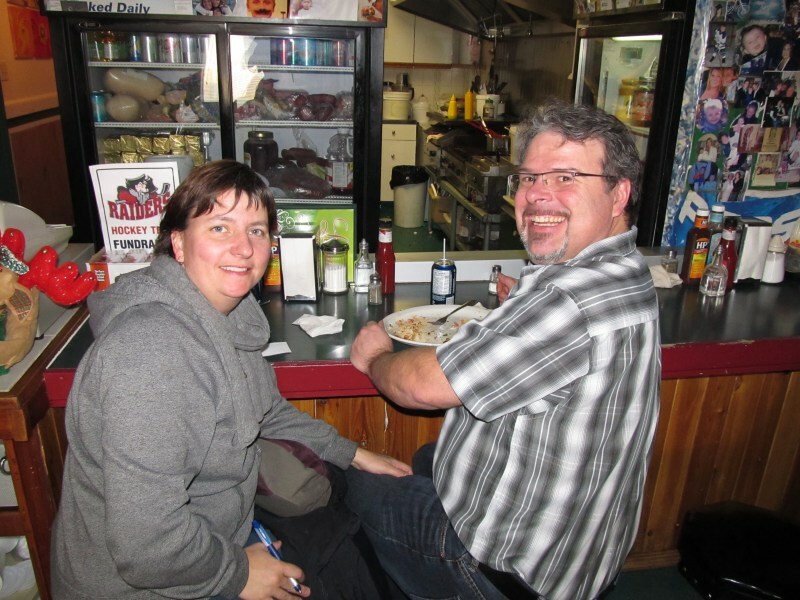 Yes, 20 years - Luda’s Deli has been operating for 27 years! 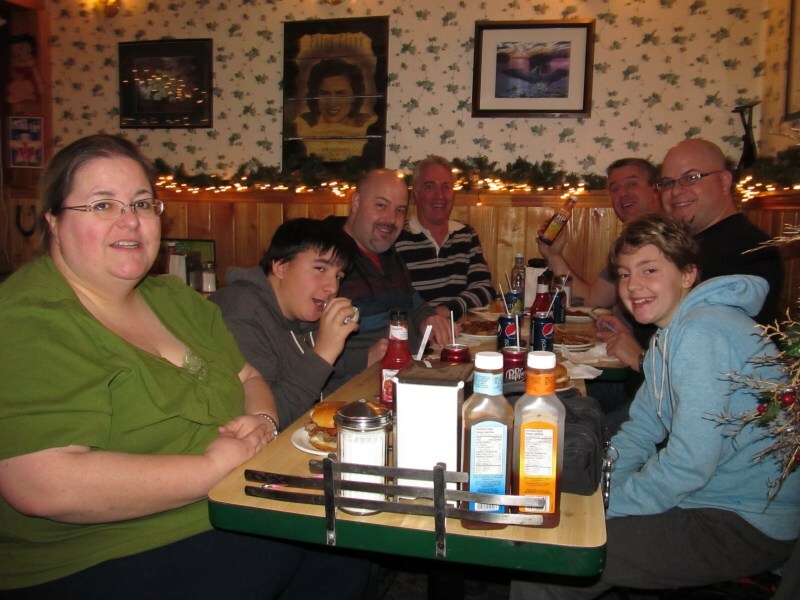 Luda’s is a charming restaurant in the north end. 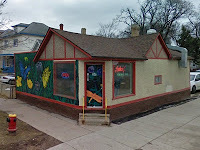 Both Google and Urbanspoon had the address listed incorrectly so finding the restaurant was part of the fun. That’s okay, we like challenges. It looks like a converted home with some wonderful murals on the outside. 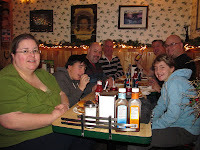 Inside is very cozy; decorated with pine wainscoting and floral wallpaper with plenty of artwork on the walls. The Christmas decorations were still up. When we arrived the restaurant was mostly full, but our very pleasant and accommodating waitress rearranged the furniture so twelve of us could sit together. It was squishy, but we sat together! Alpha-Russ stated “Now I know how sardines feel.” We ended up with a Christmas tree seated with us so really there were only 11 seats available. 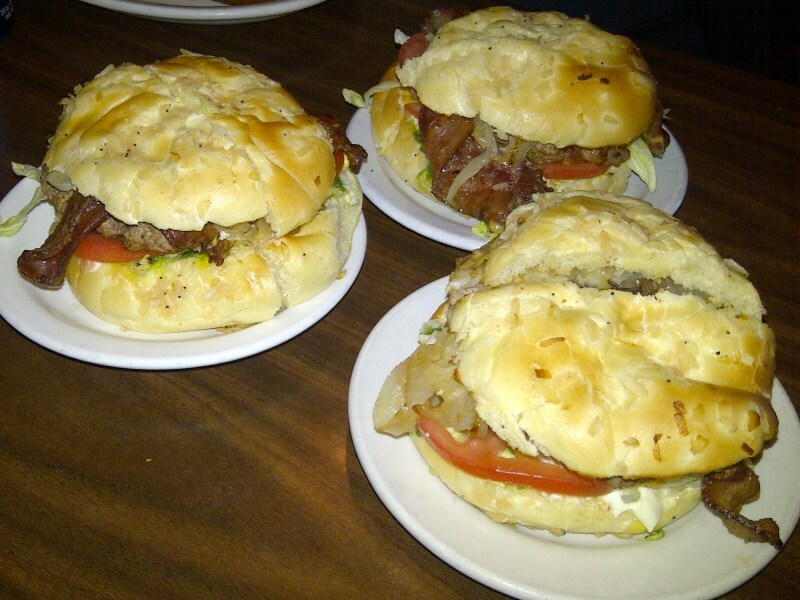 ﻿I won’t keep you in suspense so I’ll tell you right now – when you go to Luda’s, have the Deli Burger! When I was entering in the ratings and comments I was confused because half the group absolutely loved their burger and gave it very high ratings and the other half weren’t as happy. The result was a fairly low average Burger Club rating for the Luda’s burger - which is misleading because the Deli Burger was great! The pork and beef patty that all the burgers come with (except the chicken burger of course) was quite lean and fairly unseasoned. 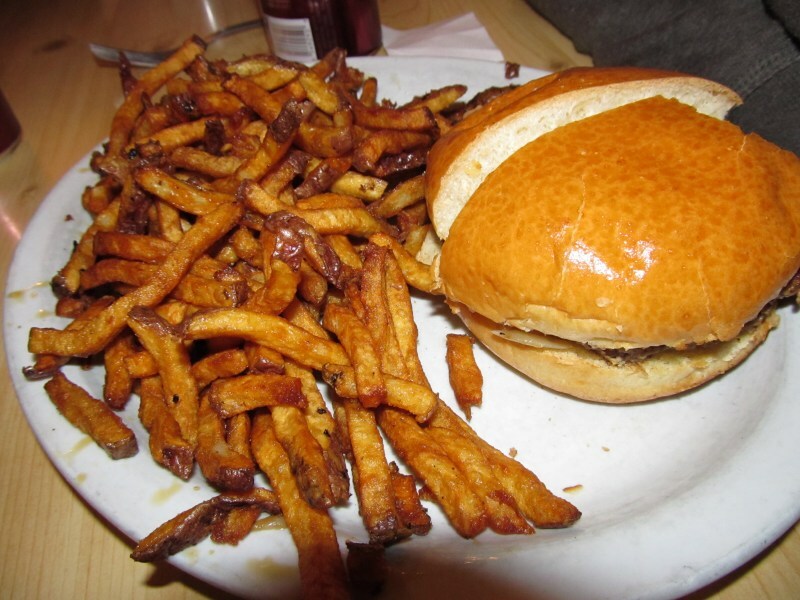 On an unadorned burger the result was somewhat dry and tasteless. However, those that opted for the Deli Burger were treated to a good selection of condiments including mayonnaise and tomato that added moisture and worked really well with the patty and bacon flavour. My mistake was in ordering a double burger without first seeing how big the patties were. They were a good size and a single would’ve been tastier – instead of a “too-much-meat” double that overwhelmed the bacon flavour. The Deli Burger also comes with a nice soft onion Kaiser bun from Gunn’s Bakery that was quite delicious and sized appropriately to the burger. 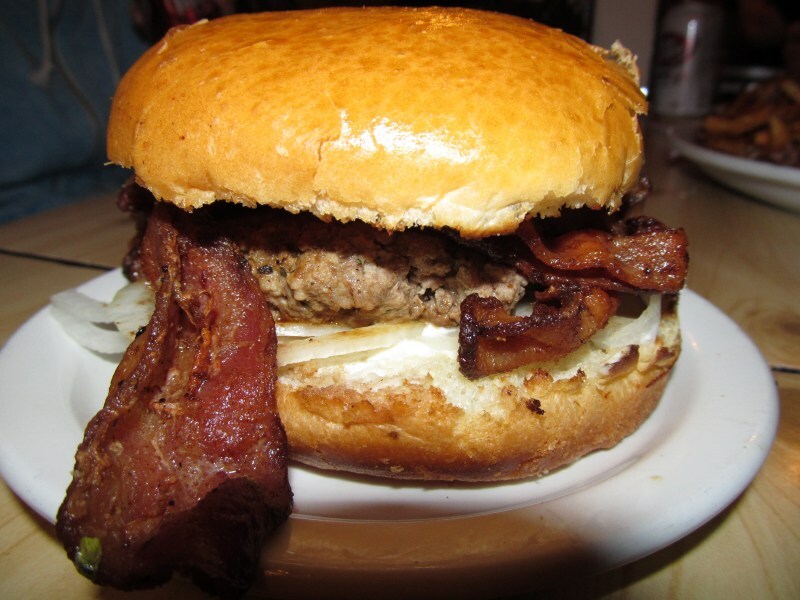 The Bacon-Cheeseburger comes with a shiny bun that squished down to a wrapper. It also comes standard with neon green relish and plenty of mustard. You can get the onions raw or fried - the default is fried - delicious! 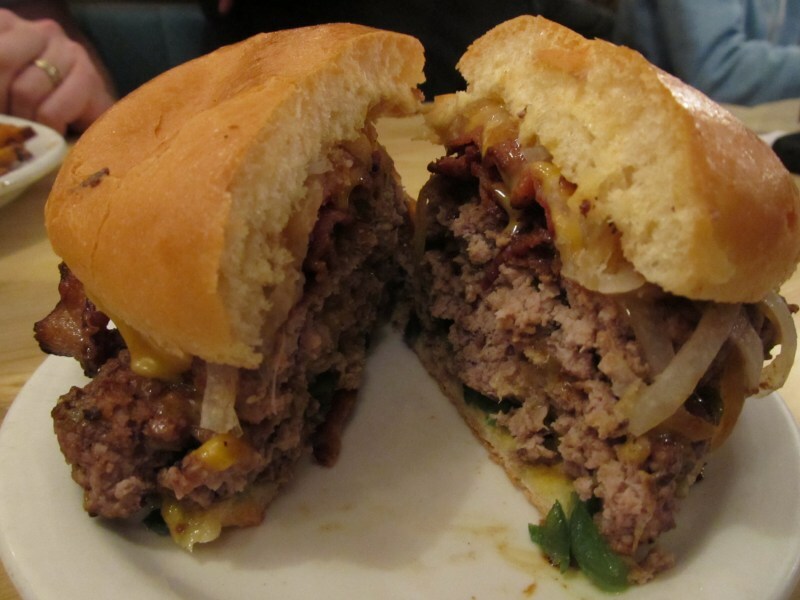 The burger was conveniently served cut-in-half which made for easier eating. Nelson commented about the Deli burger: “The burger top was smaller than the bottom giving a wonderful "burger mountain" effect.” When you go, have the Deli Burger! 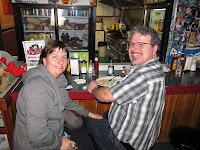 The burgers are quite inexpensive at Luda’s Deli with the basic hamburger costing $3.50. 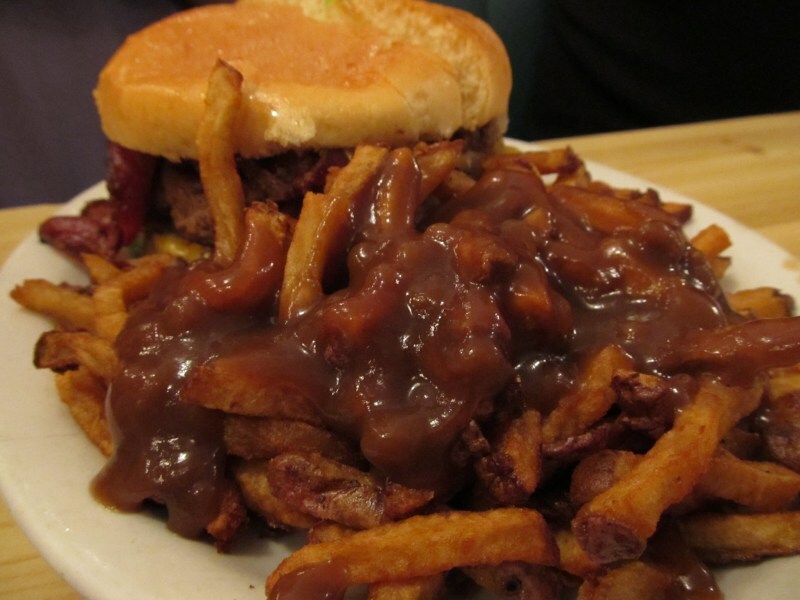 The Deli Burger received an average 4.43 rating which would’ve put it at #6 in our quest for Winnipeg’s Best Burger. The Bacon Burger got a 3.13 and the Cheese Burger a 2.25 (from the young'ens) which brought the overall burger rating down to 3.5. Luda’s also makes their own beet Borscht. 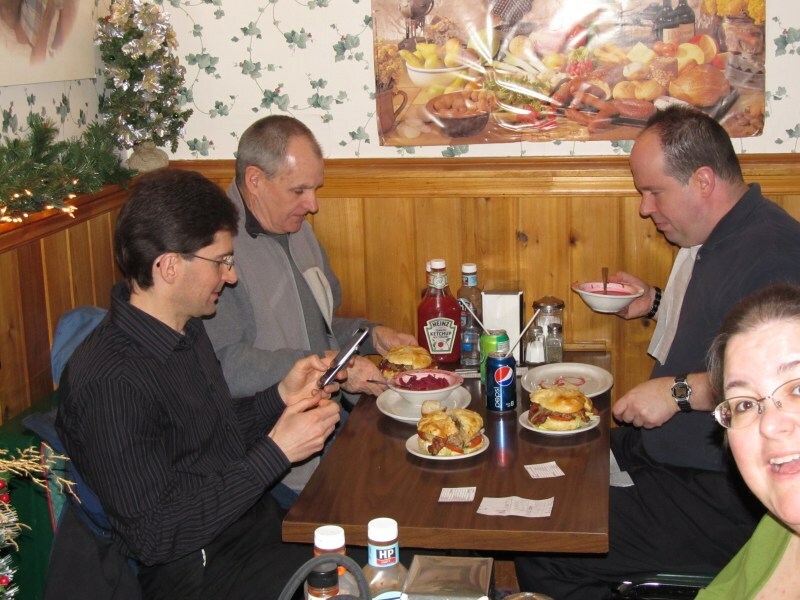 Several diners opted for the Borscht and enjoyed the delicious soup while waiting for their burger to be prepared. The fries were good too – they had a dark finish and skin-on like a pub fry - but skinny, soft and tasty. I'm wondering, should I try a Deli Burger if I go? Yeah, kind of regretted not getting the deli burger after laying eyes on the bacon cheese. I can't believe you gave Luda's such a low number. I know that many people will agree with me. In fact you gave Luigi's a high score. I went there and it was the worst burger I ever had. 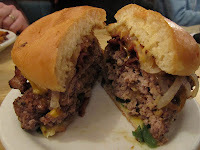 The pattie was dry, flavorless and sitting in grease for awhile. But the best part was the bun was moldy. Thankfully, I got my money back. They must have known that you were coming. I have had people tell me it's horrible at Luigi's.